1) Initially, it’s very important to know your budget. If money is no object, good for you – but in reality most of us will still be working to stay within a certain price bracket be it 4 figures, 5, 6 or 10! Tip: Marquees and tipis, whilst very trendy and oh-so-perfect for your outdoor, indoor, magical woodland wonderland wedding or celebration, do not come cheap. And if they do, it’s because the quality is cheap. All in for 100 guests expect to start conservatively at £4,000 for your marquee, simple flooring, tables and chairs. 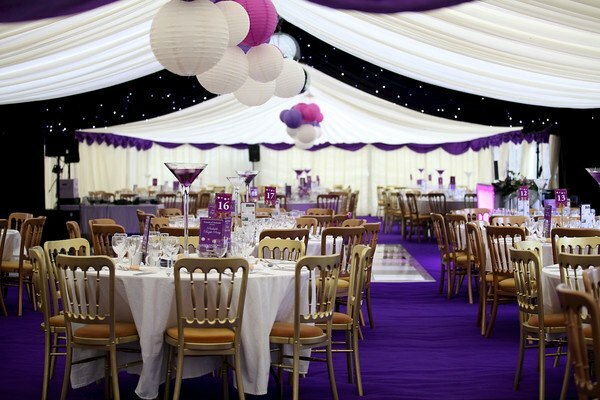 Adding more elaborate or colourful flooring, a sparkly night sky and funky forward-thinking furniture will crank up the costs and then you must find a plot to hire in order to have your marquee event. These can range anywhere from free if you have a friend with a big garden (and an open heart/mind) to £10,000 depending on where you want to plonk yourselves for the day. If you’ve plumped for the marquee option, you’re list of essential items not to be overlooked is considerably longer and if you do not have the luxury of time, I strongly recommend hiring a wedding/event planner to ensure that no detail is forgotten. Remember, friends can help but they also have jobs, lives and TV programmes to catch up on too. Don’t allow friction to be the cause of unnecessary stress among the group and hire a professional. 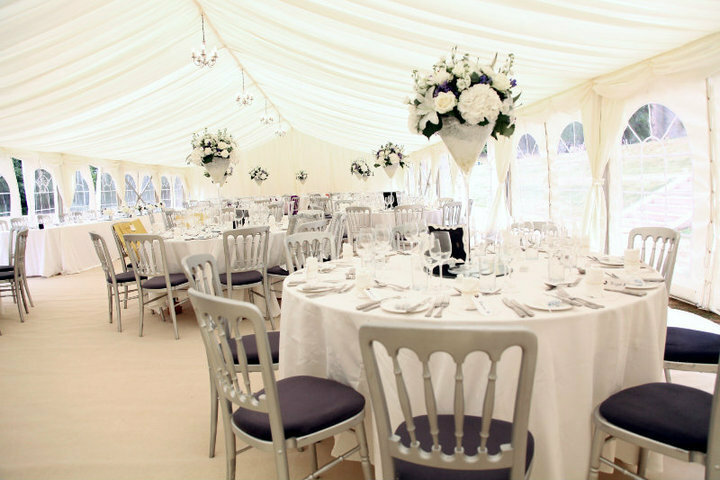 My recommended Marquee supplier is Monaco Marquees as they run an all-inclusive hire service and also own a furniture and prop hire company. They are a one-stop-shop which takes away a lot of hassle in the initial planning and design stages. Having said that, there are lots of great companies to be found the length of the UK, just make sure you know what you’re getting and try to visit them when they’re setting up a marquee or at a showroom for some inspiration and peace of mind. Apart from the marriage ceremony, the catering will be the one thing that is either long remembered or long forgotten at your reception. With enough research and a great team, hopefully yours will be the former but make sure you know where you’re going and who’s cooking your food. Websites like Hitched and Guides for Brides are loaded with reviews about almost every venue spanning the UK so a simple ‘clickety-click’ and you’ll be able to see first-hand reviews from couples who have celebrated at said venues. Similarly with catering companies, reviews are aplenty and although not 100% guaranteed, reviews and reputation have a lot of value. I also recommend trying the food at a venue before you buy. head there for an impromptu lunch or dinner date and see what vibes you get from the staff, the atmosphere and of course the gastronomy! I would say the only potential downside of a venue is that they will generally come with an in-house catering team. FANTASTIC if it’s a good team. Balls if it’s not. 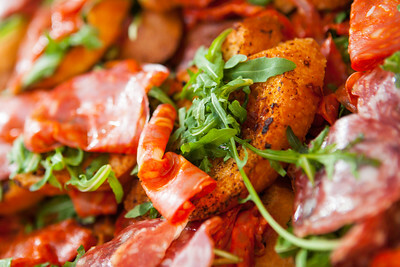 Some venues will have a list of caterers that they allow in their venue. This is often re-assuring as a great venue worth it’s salt will only work with the best. 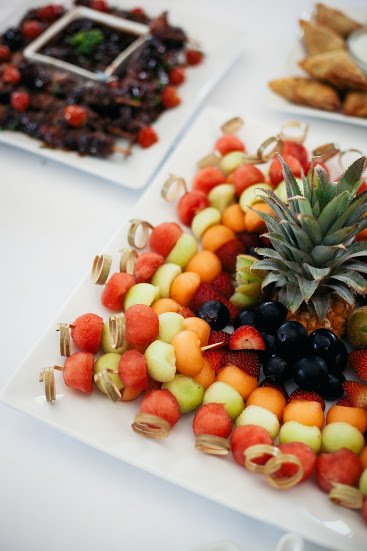 Whilst this endless stream of stationery might seem to be too much to handle (and for some it will be) you might begin to think that an external catering company has a lot more to offer than first meets the eye. Did you know, companies such as Galloping Gourmet offer around 70 different options for your evening buffet including live cooking, street food style. Hog roasts and BBQ’s are great but the world is your gastronomic oyster when it comes to bringing in a team specifically aimed at providing an insanely good meal. My opinion: external catering is definitely a bonus when plumping for a marquee wedding. Lastly, have a think about the setup of your big day. So you’ve decided to have your marquee, you’ve sourced all of your suppliers individually and you’re ready to go. Who’s going to set everything up? You do know chairs get plonked where the driver feels like it and are left there until such a time as someone decides to do something with them, right? With some luck, you will have found a catering company that take control of the setup (although this will likely be at an extra cost). TIP: Do NOT attempt at setting this up yourself unless you know how. It’s not rocket science, but setting up the necessaries for a 3 course wedding breakfast takes finesse, time and method. Speaking from 6 years experience and with a motto of ‘If the forks are not at a right angle, they’re at a wrong angle’, just get someone else to do it. Ultimately, anything can be achieved with the right amount of planning and preparation but there are some things where it really makes things much more hassle free and enjoyable if you hire a professional. This doesn’t mean you need to hand over the reigns and you can still be involved and make your own centerpieces if you wish – it is just a professional security blanket to guide you along and re-assure you that everything will get done, even if you have underestimated the workload. Nice article with some great tips. 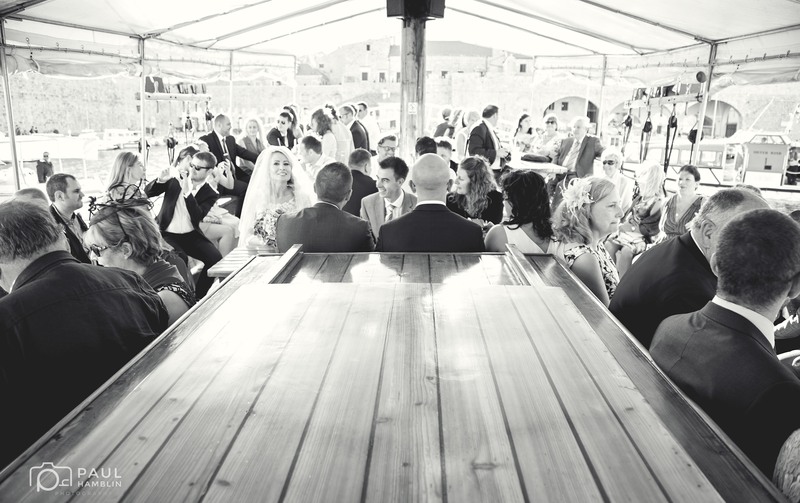 We are huge fans of outdoor weddings (I guess that this is because we work at a lot of them) – having a blank canvas allows for so much creativity – but as you mention in the article, that budget can be hard to manage!! !